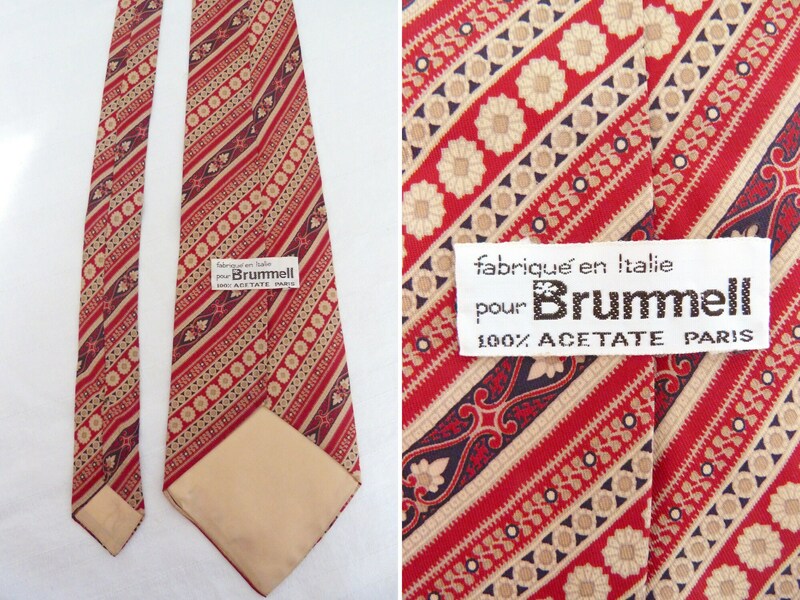 Gorgeous acetate tie from famous Paris Printemps store French label Brummell. 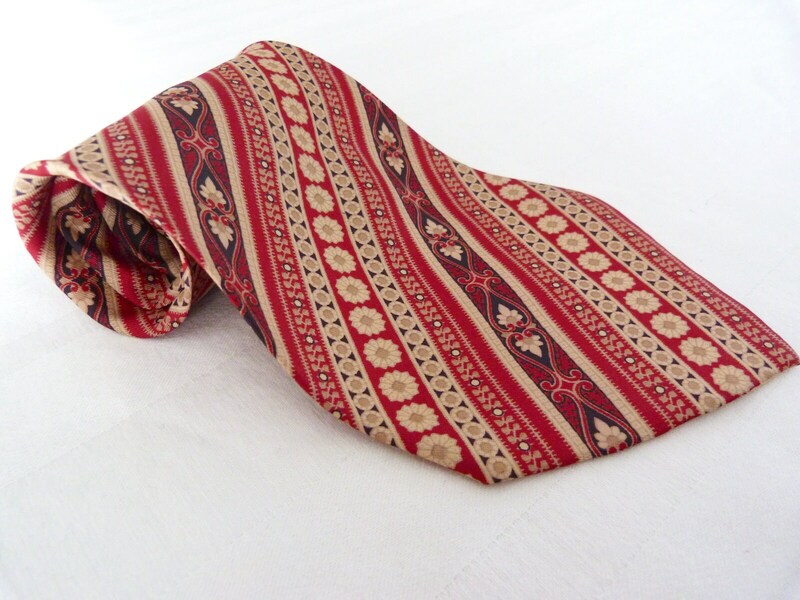 Beautiful Italian fabric with a decorative printing tones of beige and blue on a red background. The red is really nice and deep, not flashy, contrasting nicely with the patterns. 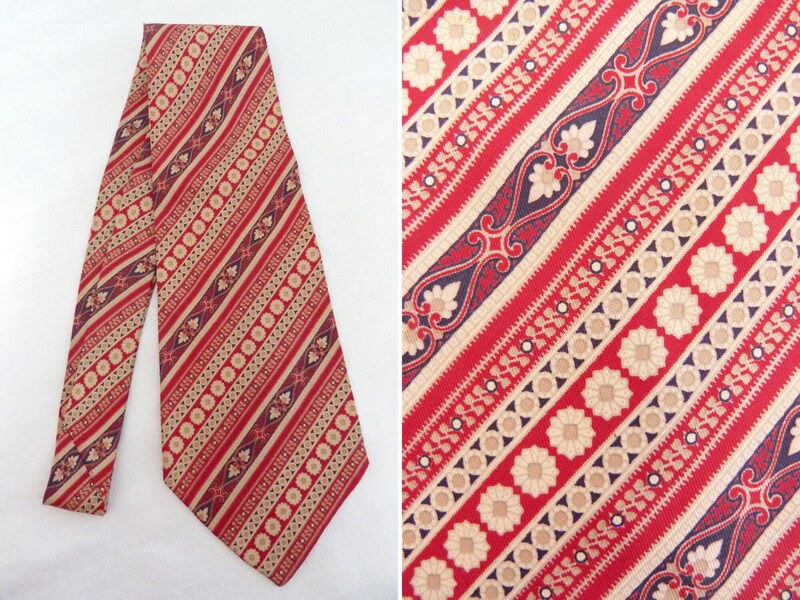 Short and wide shape typical of 1960s-70s Kipper ties. Italian quality and in mint condition!